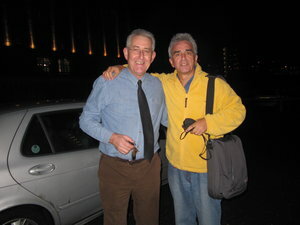 My good friend Wynford Ellis Owen toured recovery centres and initiatives in the north-east of America late in 2010. He used some of the information he gleaned from this trip to help him build The Living Room recovery centre in Cardiff. Wynford wrote a number of blogs on this trip and here is part of one from mid-November 2010. One of the many insightful sayings that punctuated my conversation over dinner this evening (Tuesday 9th November) with Roland Lamb, Director of the Office of Addiction Services in the City of Philadelphia’s Department of Behavioural Health and Mental Retardation Services (DBH/MRS). Here is a caring and loving man at the top of his game and one of the pivotal leaders of the drive to transform Philadelphia’s system of care into a recovery-oriented service delivery system that puts the needs of PIRs (People In Recovery) first. And encourages them to choose a personal pathway and style of recovery. They do this by optimising autonomy and exercising independence and choice. The PIR identifies personal life goals and in collaboration with others, directs his or her recovery by designing a unique path towards those goals. People have the opportunity to choose from a range of options and to participate in all decisions that affect their lives. And, as PIRs confront the burden of being human (which is what they do by struggling to be OK as opposed to struggling to seem OK) miracles happen. I witnessed one such miracle the other day at the aptly named Miracles in Progress 2 Sanctuary Programme, a North Philadelphia Health Systems (NPHS) initiative which offers comprehensive, recovery-oriented, substance abuse and co-occurring treatment services to the chronic homeless population. Tony Moses, the Clinical Supervisor of Miracles in Progress 2, had told me earlier about a telephone call he’d received from a blind, elderly man who had presented for treatment. As part of his assessment he had been referred to staff at a nearby hospital’s ophthalmology department who had carried out a relatively simple surgical procedure on the man’s eyes. As we left St Joseph’s Hospital, where the Miracles in Progress 2 Programme is located, I was confronted by a sight I will not forget for as long as I live. An elderly man was dancing in the yard outside. He was waving his arms above his head and dancing what seemed to be a jig of celebration. He hugged other PIRs who watched him in stunned silence as he danced over to where we were standing. He hugged Tony Moses; he hugged Garry Brown, DBH/MRS Communications Director; he hugged Jennifer Sears, who has accompanied me on all my visits to the various, diverse programmes here; and he hugged me too. And, to the accompanying applause and hurrahs of his PIRs, off he danced to another part of the yard. To tell even more people about the miracle that had befallen him. Here was a recovery advocate par excellence! I felt that what I had witnessed was a powerful metaphor for what is happening in the recovery world. Eyes are being opened across the world, as in a miracle, to the effectiveness of peer-based recovery-oriented system of care. I feel there’s an increasing groundswell of support for this approach. And it’s coming, primarily, from the recovery community itself. Their voices are at last being heard. I’ve visited, on average, four treatment programmes each day this week ranging from: ODAAT (One Day At A Time) that provides a range of services to low income and homeless men and women suffering from addiction and HIV/AIDS, to Women’s House of Hugs that provides housing as well as ongoing networking systems for women who have become homeless due to abuse of some form; to the NET (North East Treatment Centres) whose mission it is to provide comprehensive behavioural health services and social services to adults, children, and their families. And, yes, I visited Philadelphia’s own Living Room Project! Our own Living Room Cardiff project, as a result, will benefit immensely from this particular visit. We’ve promised to keep in touch and exchange information. Coincidentally, our objectives are similar: 1) to be a programme where PIRs can establish effective and rewarding social and support networks; 2) to help PIRs achieve success and act as a stepping stone to greater achievement; and 3) to provide a nourishing milieu for PIR’s empowerment i.e. helping people to have the motivation to utilise their skills and knowledge. I also got to meet and work with Peter Rainford, another Churchill Fellow, who’s visiting similar peer-based recovery centres in this Eastern part of the U.S.
We met for the first time for dinner on Sunday night and have had shared visits to some of the programme providers and to other presentations, such as Sam Cutler’ overview of Drug Use in Philadelphia and Cathy Bolton’s introduction to her work as Director of Continuous Quality Improvement. I presented both Dr Evans and Sade with two tea towels (gifts from the Welsh Society of Churchill Fellows) and a Sir Winston Churchill Commemorative Crown in appreciation of the fabulous welcome I’ve received and the unique access I’ve been given (at every level) to the facilities and facilitators here.